First up, Sugru. I discovered this on a shoot I did for Amazon. Mouldable glue which can stick anything to anything. 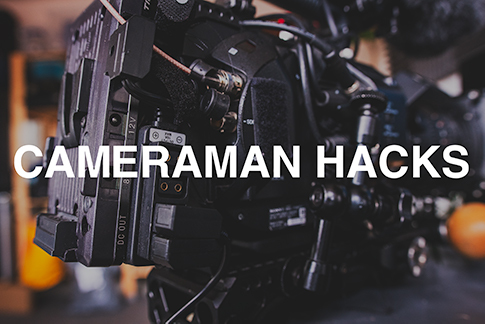 Whether it’s fixing a tatty old cable, sticking bits of camera back together or something else entirely. Simply mould and leave for 24 hours to dry. Here I've modified an IDX V-Mount plate on my FS7 with the addition of multiple D-Tap ports secured in place with Sugru. Loctite is great for securing bolts and screws that have a tendency to rattle themselves free. Squirt a bit on a bolt, thread it up and you're secured. No longer does my FS7 shed it's screws! This has revolutionised my life! 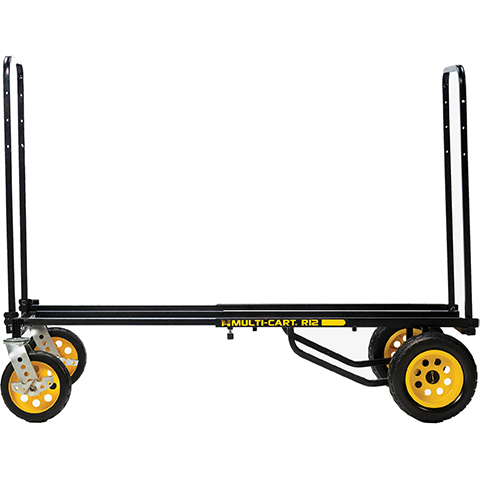 The RockNRoller R12 is sturdy, foldable cart for moving kit around. It lives in the back of my van and when I arrive at a shoot location, I pile all my bags on and roll into the location taking the strain out of my aging shoulders and back. I've modified mine with an additional bolt on top of one of the handles to take the tuning stand of my Ronin, giving me a rollable stand for my Ronin. It's great to fly with as well. I simply use a couple of cable ties to secure it from folding out and check it in. So far I've never had a problem and you've got a secure trolley to move all your kit around when you land. Various accessories are available to pimp your cart out. I’ve bought the shelves (which aren’t hugely useful if I’m honest!). The bag attachment for light stands and tripods look very practical too. One of those essential consumables along with gaffer tape and diffusion gels that never leave my bag. It can be used to cover individual lights, a window if you wanted or to make a make shift lens hood if you need one! 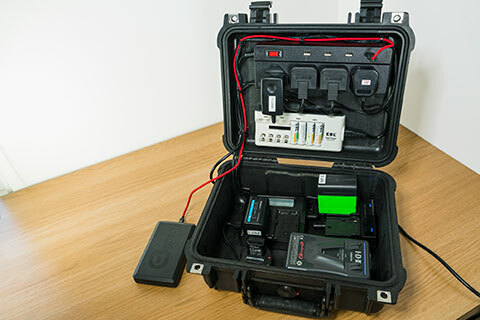 As mentioned in a previous blog post, my charging case is a great way of keeping all my chargers together in the vain hope that I won't forget one on a multiday shoot. All the chargers and cables are secured in place with velcro and cable ties. The only adaption I'd like to make now is to find a soft-case alternative to a Pelicase, that's not so bulky. Again along the lines of charging, is the Duacell Inverter. I keep this in the van and allows me to charge my batteries if I'm out and about and not returning to base in between shoots. Whilst it's not hugely powerful (175w), it runs off the cigarette lighter and is enough to charge some camera batteries or run a laptop without installing a full split-charge system and separate auxiliary battery in the vehicle. When flying, I've found the best thing to put my Sachtler tripod in is actually a cheap golf club hard case. There's plenty of room in there for multiple tripods and light stands although you have to watch out for weight. It's got wheels on the bottom and less than half the price of a proper tripod hard case, which would most probably only take a single tripod. Whilst it's not fault proof (what do you expect for the money?! ), I wrap a ratchet strap around it to secure it which has always done the job so far. Finally I'd like to quickly mention ShotPut Pro and Hedge. 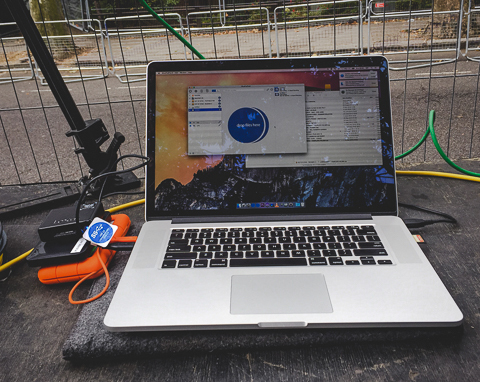 These pieces of software are designed to copy across all the footage from your camera cards to multiple hard drives and locations, and then verify all the content is as it should be. 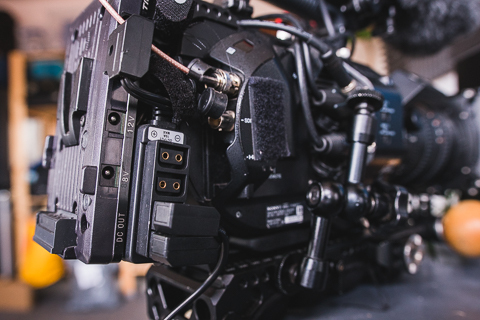 Whilst this may add a bit of time to your DIT, having the piece of mind that all your footage is properly secured is well worth it. ShotPut Pro is great if you're shooting across multiple days on multiple cameras as you can specify filing systems and naming formats. It'll also generate PDF reports from each card with thumbnails and meta data which can be super useful for clients, editors and loggers. Hedge is a bit more basic but on the whole, generally quicker. It can't handle much more than offloading a single card at a time but if I'm looking for the quickest way to offload data after a shoot, this is what I'll use.